Making a film about rumrunner Bill McCoy led alums Bailey and Jennifer Pryor, both ’90 (CLAS), to market a Prohibition-style rum that’s the real deal. D eep dark secret: Bailey Pryor’s career is founded on a bribe. To hear the sordid story, let’s slow fade to August 1987 and Mystic, Conn., where the filmmakers of “Mystic Pizza” have just checked in at the Mystic Hilton, their base for scouting the area. Pryor is 19, a local kid hell-bent on a film career ever since seeing “Star Wars” in fourth grade when “it completely blew my mind,” he says. “I went to the front desk,” Pryor ’90 (CLAS) recalls of that summer day, smiling at his naive and nervy younger self. “‘What room are the movie people in?’ I asked the bellhop. I didn’t think he’d tell me — so I slapped down a five-dollar bill.” The bellhop burst out laughing at the audacity, the ridiculous amount. He shook his head, pushed back the fiver — and revealed the room number. For the next two months Pryor continued to go-get. 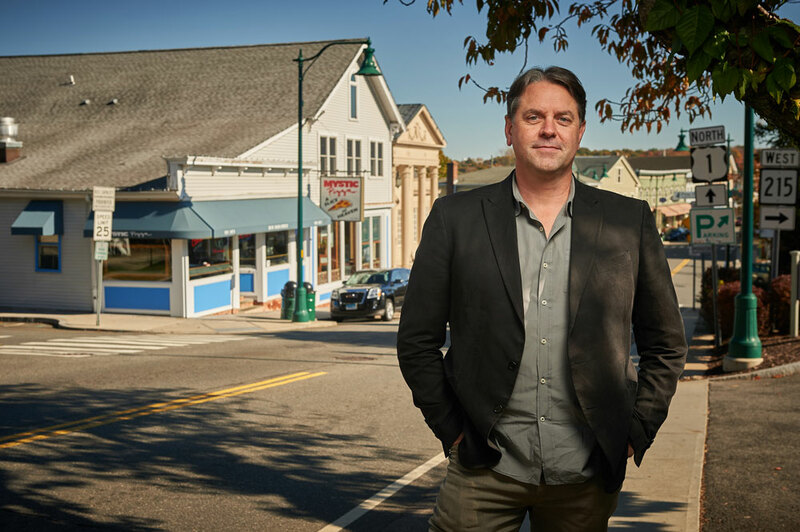 He helped the location manager find the Stonington Borough mansion for Julia Roberts’ rich boyfriend in the film, plus the by-the-train-tracks house for Roberts’ character. When an early snow messed with a scene, he shoveled it out. He scared up the boats and cars used in the background (in some shots you can spy his dad’s orange Volkswagen bug). Meanwhile, Pryor learned everything he could from each department — lighting, sound, art direction, wardrobe, transportation, you name it. “Just Ask Bailey” has come a long way since then. The communications major has worked on seven feature films as well as 130 TV shows for ESPN, Discovery Channel, Animal Planet, Travel Channel, and more. He’s won five Emmys. He’s shot on location in places like China, Iceland, and New Zealand. His documentaries (on robber baron Jay Gould and the whaling ship Charles W. Morgan to note two) have aired on PBS. 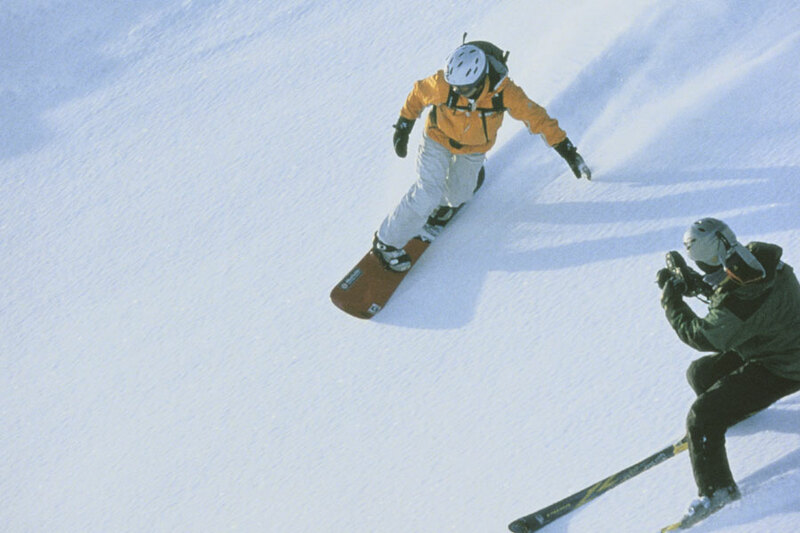 If you’re a ski nut, you’ve inhaled his gorgeous ski films for Warren Miller Entertainment. Filmmakers love the establishing shot, so here’s one for you: Picture a lovely, not large, yellow, center-chimney Cape in Mystic’s historic district, built by a ship’s carpenter in 1844. This time, I’m doing the knocking, and Bailey and Jennifer warmly greet me at the door, maneuvering around their cheerful, elderly puggle (that’s a pug-beagle), Linus. Linus snuffles underfoot as we sit in the kitchen, sun pouring through the windows. Filmmakers also love close-ups, so now zoom in on a looser, New England version of Coach and Tami Taylor of “Friday Night Lights”: Bailey, tall and dark-haired, and Jennifer, also tall, understatedly stylish, with a strawberry blonde mane. Pan to Jennifer, who art directs many of her husband’s films, overseeing everything from title fonts to costumes to props to set design. She’s the oldest of four and grew up in Brimfield, Mass. (she made extra pocket money as a kid parking cars in their yard during the renowned Brimfield Fair). Her dad was a civil engineer, the vice president of the physical plant at Worcester Polytechnic Institute, and her mom a midwife and midwifery activist. The Millers often participated in the American Host program, hosting foreign teachers and families from all over Europe. Thus inspired, Jennifer spent one year of high school in Frankfurt, Germany. 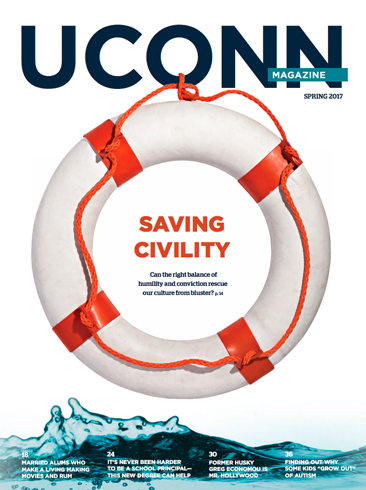 At UConn, she thought she might major in German. But she ended up an English major, and particularly remembers her classes with “the phenomenal, very insightful” English professor Marilyn Nelson, who later became the poet laureate of Connecticut. She also took a few studio art classes, “which gave me great foundation in perspective and fundamental design elements,” that play a vital part in her work life today. Pan back to Bailey: He’s the youngest of four (one sister is Mary Day ’88 BGS), whose dad worked as an engineer at General Dynamics and whose mom is a craftsperson and author. Bailey was a born entrepreneur. At 15, he started a snack bar at his parents’ yacht club. At 16, he began a scuba diving business. At 18, he formed his own production company. After “Mystic Pizza” came out, therefore, he was hot to take another risk. 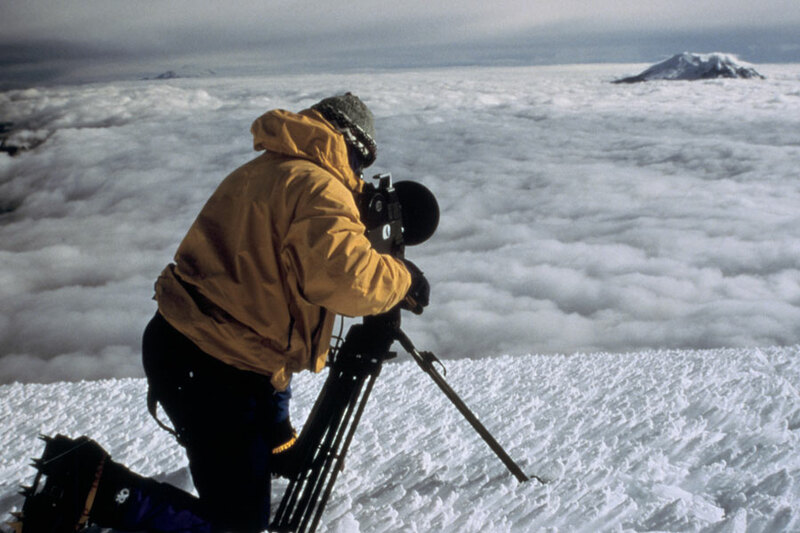 Cinematographer Tim Suhrstedt asked him to move to L.A. to assist on “Feds,” with Rebecca De Mornay (Pryor was the clapper, as in the guy who claps the slate that identifies each scene). Later, he was Levinson’s assistant on six movies, including “Home Alone.” Levinson “was a fantastic mentor and taught me so much about filmmaking, budgeting, scheduling, and more,” says Pryor. Between shoots, he did a few semesters at The Brooks Institute of Photography in Santa Barbara. But “I’m a New Englander, and I wanted to be here,” says Pryor. He transferred to UConn and took whatever classes might help him become a film producer and screenwriter: communications, acting, journalism, accounting, statistics, marketing, and finance. Jump cut to Chuck’s Steak House and Margarita Grill in Storrs. It’s the summer of 1990, and Jennifer (waitress) and Bailey (I.D. checker) show up to work. She’s supposed to train him on how to wait tables, but there’s a kitchen fire — cue the flames and pulsing sound track — and the restaurant has to close temporarily. The two end up hanging out. On an impulse, he bought Jennifer a plane ticket to California and asked her to join him in driving his car back east. She did, “and our first real date lasted 18 days,” says Bailey. The couple married in 1992 and have two children. Maddie, 20, is studying food justice and sustainability at Green Mountain College in Vermont. Finn, 17, is a sound engineering and music composition student at Icon Collective in Los Angeles. Bailey Pryor in Mystic, Conn. The Pryors essentially make their living telling stories. Not a shocker, I suppose, when an English major marries a communications major. “My specialty is summarizing,” says Bailey. “I’m about taking a huge subject and putting it into 90 minutes maximum on film.” Jennifer is all about forging the look for that story: “I am the backstage person, where I prefer to be,” she says. Both have honed their ability to recognize a good story, too. 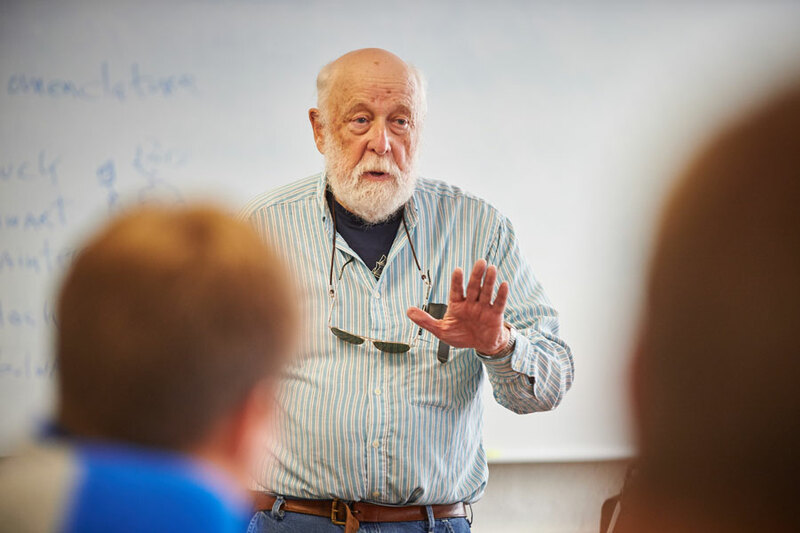 The “Real McCoy” tale came by way of another UConn connection, Stephen Jones, a longtime English professor at UConn Avery Point (his specialties: Shakespeare, maritime studies), and an old friend of Bailey’s parents. To cope with the wave of bootleggers at sea, President Coolidge doubled the budget of the Coast Guard, and a sort of arms race ensued, with each side improving their boat speed and engine size. 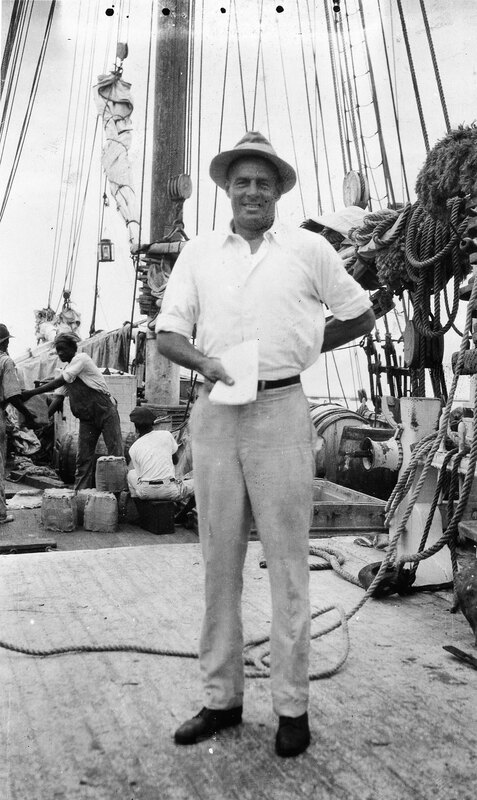 McCoy evaded capture many times until the U.S. secretly negotiated a treaty with the U.K. to arrest him in international waters. The chases, McCoy’s jail time, and many other scenes are reenacted in the movie. The Pryors shot the nautical footage off Martha’s Vineyard, Mass., and some train scenes at the Colorado Rail Museum in Golden, Colo. Meanwhile, the Pryors’ office space in Noank, Conn., once a vaudeville theater, was converted into a speakeasy. And Jennifer fashioned the wardrobe from local thrift shops and loans from the Goodspeed Opera House in East Haddam, Conn.
Around this time, Bailey Pryor idly wondered if the phrase “the real McCoy” was trademarked. His lawyer discovered, unbelievably, it wasn’t. The Pryors secured a trademark and noted that, in archival photos, some of McCoy’s rum barrels bore a customs stamp from Barbados. Archivists there speculated that the Seale family, of Foursquare Rum Distillery, may have sold McCoy his rum. But there was no, shall we say, proof. Bailey reached out to Richard Seale, fourth-generation owner, a legend in the rum world (voted Distiller of the Year in 2011) and a fairly crusty guy. 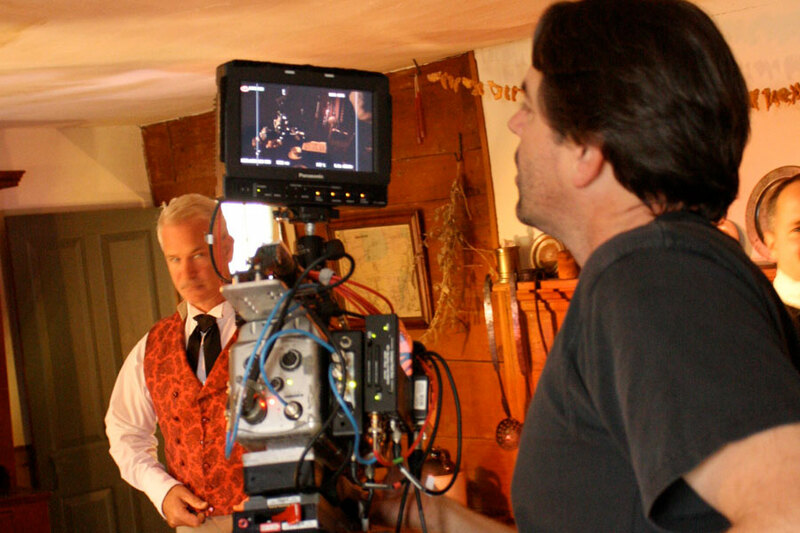 Since The Real McCoy (film plus company), the storytellers have become the story. 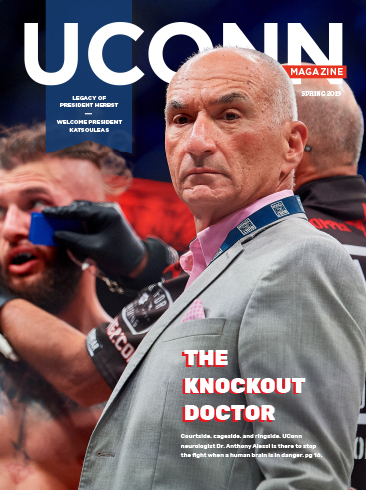 Those juicy narrative hooks — filmmaker turns rum maker, the origin of the phrase “the real McCoy,” the five Emmys — have lured coverage from publications, such as The Wall Street Journal and GQ. The cachet and the solid business plan also have attracted investors. Big-time investors including John Esposito, former CEO of Bacardi, and John Sculley, former CEO of Apple. Sculley told the Pryors they were way ahead in the startup game because they had both a brand name and a great story. Over the last couple of years, The Real McCoy rum has won 85 industry awards. True to its backstory, and unlike the vast majority of rums, which contain sweeteners and spices, this rum is unadulterated. Today, it sells in 16 states and 18 countries. “Starting this business is the most consuming of all the projects I’ve ever taken on,” says Bailey. He’s on sabbatical from the film business for now — though he has shopped a screenplay about the Huskies’ legendary coach Geno Auriemma as well as a Hollywood version of “The Real McCoy,” under Universal Studios, with Chris Pratt signed to play the lead. 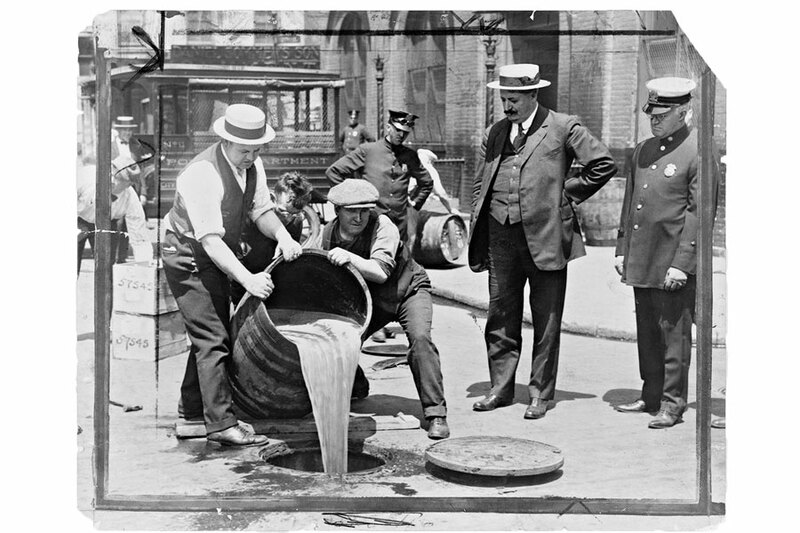 Prohibition agents in Brooklyn in 1923 dump illegal alcohol; this photo was used in “The Real McCoy” documentary. 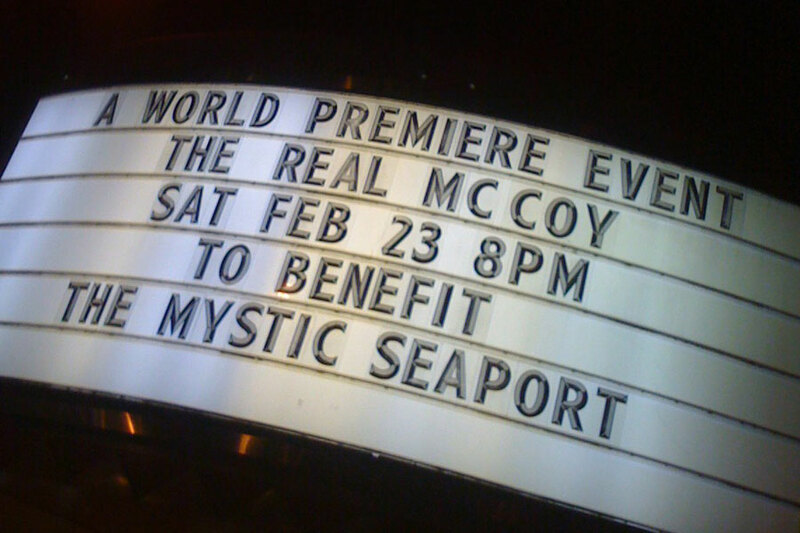 The marquee for the “The Real McCoy” premiere at the Garde Arts Center in New London, Conn. 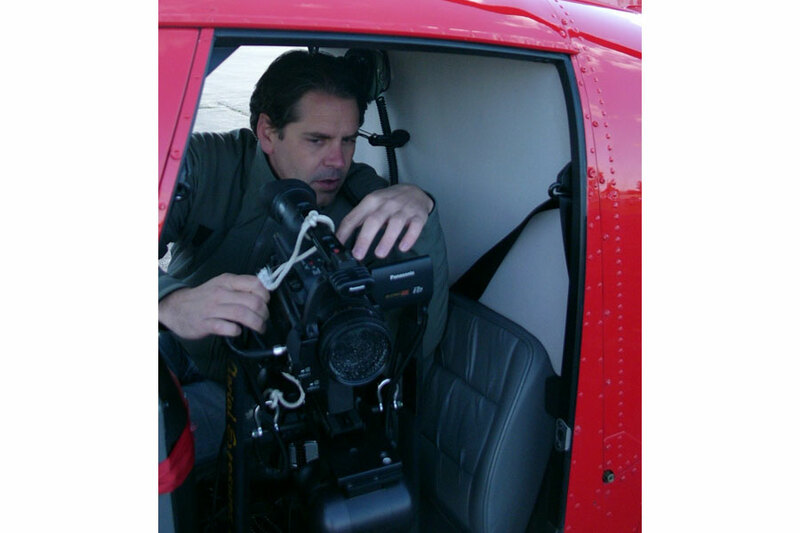 Installing a helicopter camera rig for a flight above New York City in 2014 for the film “Gluten Free” premiering on PBS this year. 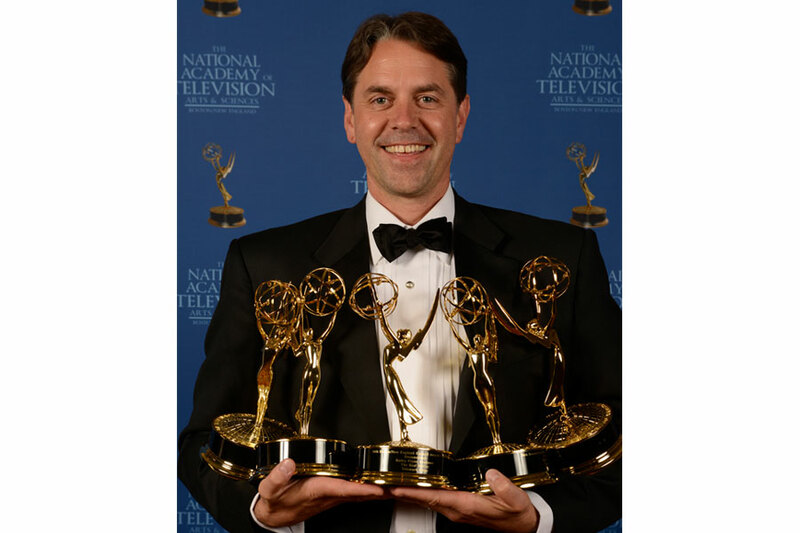 At the 2013 Emmy Awards after winning five Documentary Film categories: Cinematographer, Editor, Writer, Director, and Best Picture. Professor Stephen Jones teaching maritime history at UConn Avery Point. Jones' book The Actual McCoy served as the inspiration for the Pryors' documentary film.